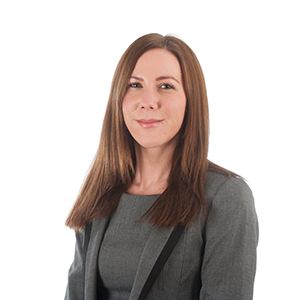 I joined Birchall Blackburn in 2007 and qualified as a Solicitor in 2011, before being promoted to Partner in 2016. I hugely enjoy direct interface with our clients and ensuring that they receive the highest standard of service and that their experience of Birchall Blackburn Law is a positive one and that they would recommend us to their friends. Much of my time is dedicated to ensuring that the clients needs are met, and helping them through the legal maze of buying their first house, getting them the right advice on a stressful family breakdown, setting up a new business or a life-changing injury. I really enjoy my job heading up the Client Services Team, no one day is ever the same and I enjoy the challenge of such a diverse role. Qualifications and professional achievements: LLB (Hons), Legal Practice Course distinction. How did you end up working for a law firm? I thought that a law degree and a career in law would particularly suit my aptitude for analytical thinking and working with people. Unusual fact: I enjoy rock climbing and my goal is to one day climb Mount Everest!